Shaft built near rock tombs along western edge of Central Cemetery, in east-west corridor west of G 8028 (Rock Tomb No. 1) and G 8026 (Ity), in middle of corridor south of S 1579-hassan, south of S 1588-hassan and north of G 8034 (Memi). Excavated in 1935-1936 by Hassan. Hassan, Selim. Excavations at Gîza 9: 1936-37-38. The Mastabas of the Eighth Season and their Description. 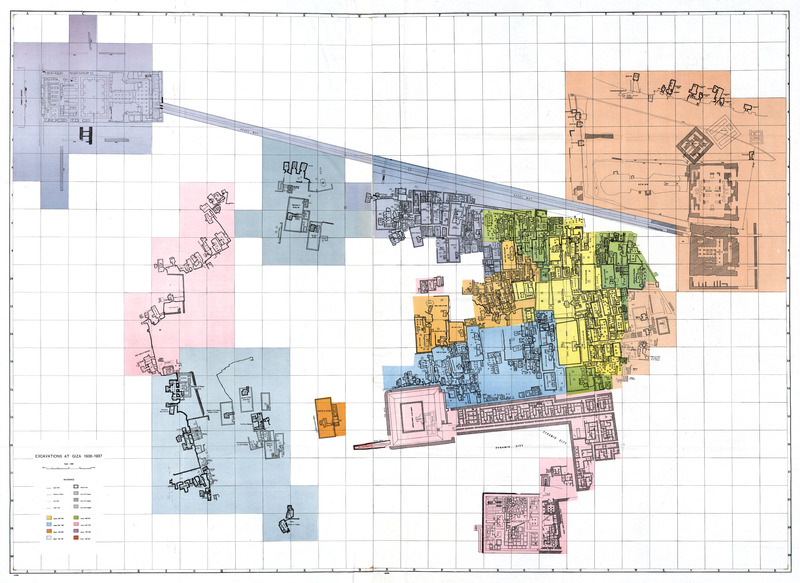 Cairo: General Organisation for Government Printing Offices, 1960, folded plan, G-17. Porter, Bertha, and Rosalind L.B. Moss. Topographical Bibliography of Ancient Egyptian Hieroglyphic Texts, Reliefs, and Paintings 3: Memphis (Abû Rawâsh to Dahshûr). Oxford: The Clarendon Press, 1931. 2nd edition. 3: Memphis, Part 1 (Abû Rawâsh to Abûsîr), revised and augmented by Jaromír Málek. Oxford: The Clarendon Press, 1974, plan 22, G-2 (neither drawn nor labeled).